Build your Business. Live your Dream. Dedicated to providing Entrepreneurs and Small Business owners with the best testimonials, and case studies from industry leaders, StartupNation.com is the best place for entrepreneurs to learn to build up their business, and balance their lives! 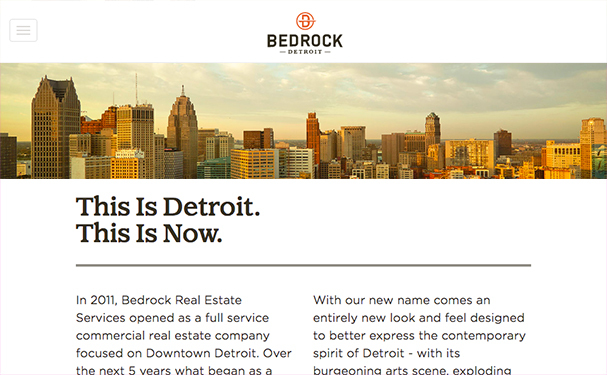 In 2016, Detroit Real Estate mogul 'Bedrock Real Estate Services' rebranded themselves as 'Bedrock Detroit'. Working as a contractor from Detroit Labs, I was responsible for developing a WordPress Teaser site that updated visitors on the brand transition, as well as provided information on the upcoming 2016 ICSC Event. In addition to developing the theme I was tasked with choosing an appropriate hosting provider, and deploying the site to production the day it needed to go live. 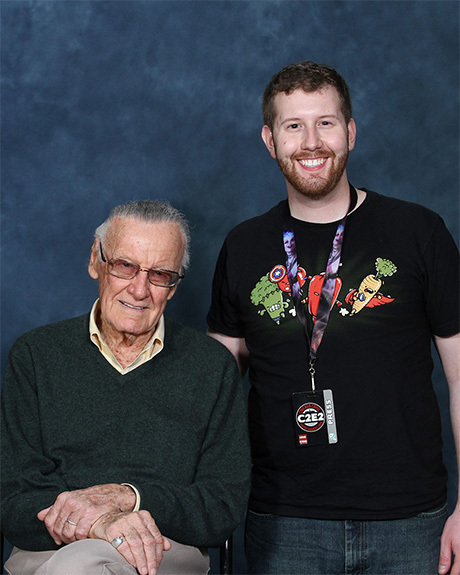 A mobile first news source for Comic Book and Pop Culture fans. ComicUI is a Comic Book and Pop Culture News site created by myself and co-founder Chris Dillard. We deliver updates on all the big comic book releases, movie updates, and interviews with some of today's up coming comic book writers and artists, such as Christopher Yost, writer of Marvel Studios: "Thor 2: The Dark World", Claudio Sanchez, author of "Translucid", and Lead Singer of Coheed and Cambria, and Ryan Stegman, artist of Superior Spider-man, and Marvel's brand new series "Inhuman". Learn Apache Cassandra and DataStax Enterprise from the experts. DataStax Academy is an eLearning site owned by DataStax. In 2015, I worked with a team to create layouts and templates for new and existing site content. Working with multiple designers within the company, our Senior Designer and I created style guides using LESS to ensure that the DataStax brand was maintained within the DataStax Academy redesign. I created a theme capable of running in tandem with the previously designed site theme, allowing us to deploy new content and features without interrupting functionality for users. I was responsible for working with our Senior Developer to create new site features and modify existing modules, and functions as needed. I worked in an agile environment, and used git to organize and separate code related to various tickets. 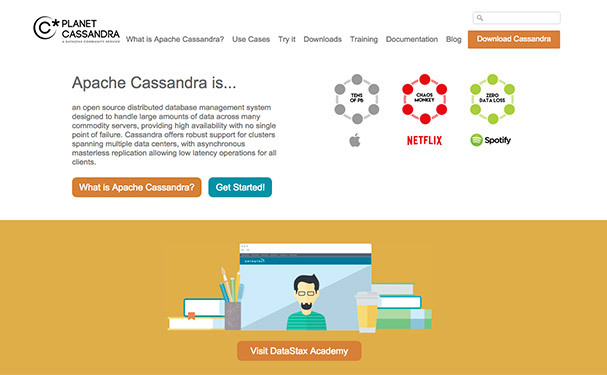 The ultimate resource for any who ask, what is Apache Cassandra? While employed at DataStax, my primary responsibility was the re-design of the DataStax Academy web-site. However, I also worked with our marketing department, providing support and deploying content changes, as needed. Planet Cassandra was built in WordPress. The death notices on this web-site are those that have been listed in the Detroit Free Press and The Detroit News since late 2001. 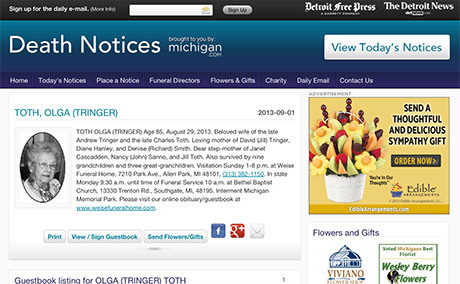 The Michigan Death Notices web-site posts the death notices that have been listed in the Detroit Free Press and The Detroit News since late 2001. Beginning in 2013 we expanded to included notices listed in the Oakland Observer & Eccentric, and the Livingston Daily. Please keep in mind these notices were paid to be listed by the family of the deceased. This site is not a complete list of everyone who has passed on in the metro Detroit area. Your one stop for Michigan based news and events. Powered by the Detroit Free Press and The Detroit News. 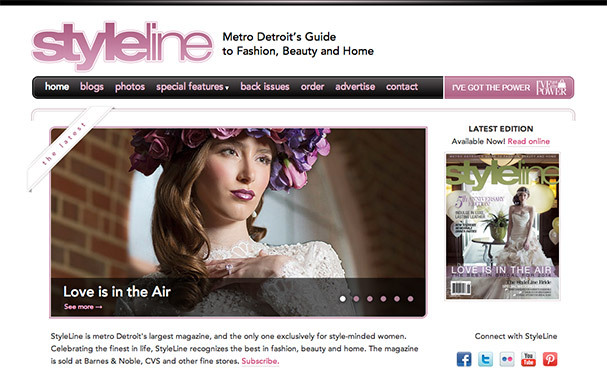 Styleline Magazine is metro Detroit's largest magazine, and the only one exclusively for style-minded women. I worked on Styleline Magazine while employed at the Detroit Media Partnership. 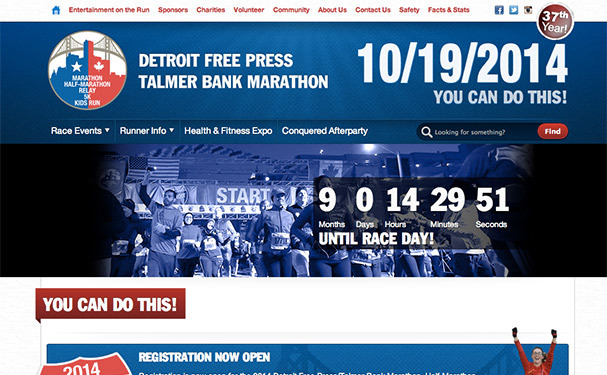 Detroit Free Press/Talmer Bank Marathon » 10/19/14 You Can Do This! The Detroit Free Press / Talmer Bank Marathon is Michigan's only International Marathon. Every year thousands of runners take to the streets of Detroit. I worked on this site while working for the Detroit Media Partnership. 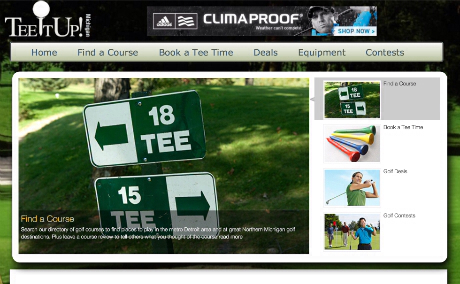 Michigan's #1 On-line Golf Course Directory. Tee it up Michigan! is a product of the Detroit Media Partnership. It's an on-line golf course directory that allows visitors to browse through over 300 golf courses in Michigan. Created in Drupal 7, users can rate their favorite courses as well as share their comments with their friends on Twitter, Facebook and Google+. The Michigan College Guide is an on-line directory of colleges and universities in Michigan that is aimed at helping ease high school seniors and college freshman through their final year of high school and helps users create a plan to further their education. Michigan College Guide is a product of Signature Media, and the Detroit Media Partnership. The site is powered by Drupal 7 and is optimized for Desktop, Mobile, and Tablet devices. 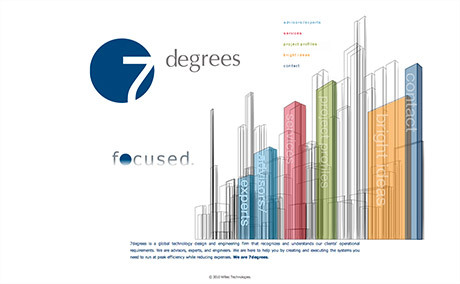 I built 7degrees Global based on Photoshop mock ups provided to Wiltec Technologies from a previous designer. 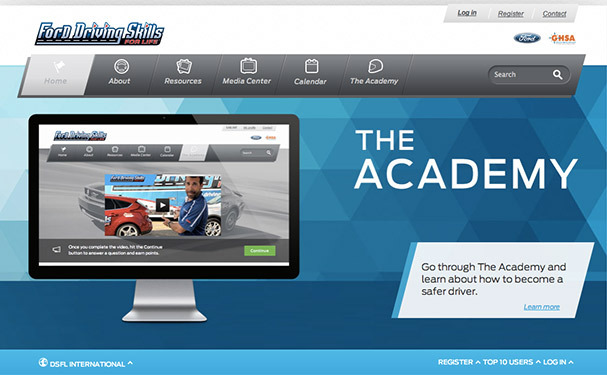 Performed regular content updates for Ford Motor Company events. This project required working with the Joomla content management system. 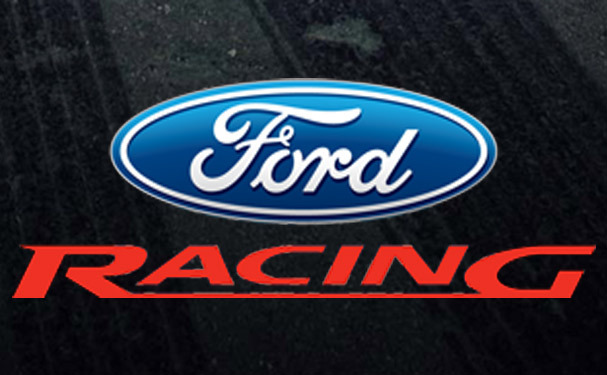 Responsible for content updates to the Ford Racing Events web-site. Also responsible for the creation, deployment and deployment of email contests. 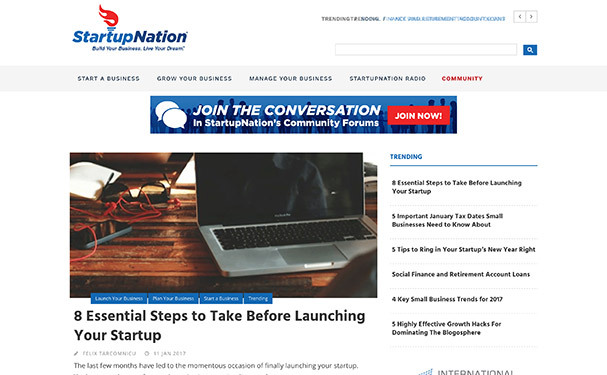 I'm currently working as a freelance Web Development Consultant for StartupNation, a company dedicated to providing entrepreneurs and small business owners with the best information on how to get their business off the ground, and running. Working primarily in WordPress and PHP, I develop custom solutions for our site including Widgets, menus, and landing pages. Many of my projects include prototyping, and communicating designs via Adobe Photoshop, other Adobe Creative Cloud applications, and Sketch 3. 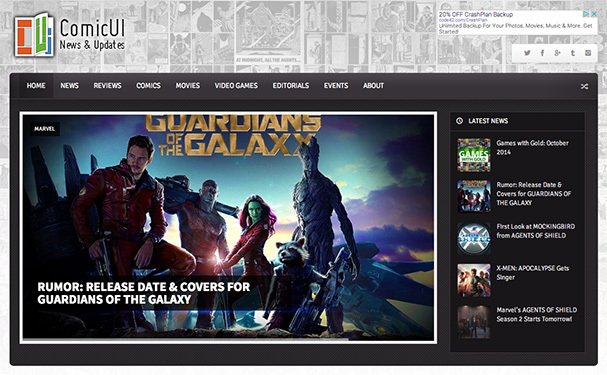 I also provide Web Development and Design solutions for a local Comic Book company Able Ideaz. They also hired me to build a web-site for their Television show and YouTube series, 'Comics Beer & Sci-Fi'. In 2015, I worked as a full-time Web Developer at DataStax. DataStax sells, and supports a proprietary Database management tool based off of Apache Cassandra, and is located in Santa Clara, California. This position was fully remote. While working for DataStax I worked on the DataStax Academy redesign team, to create a new face for the DataStax Academy web-site. 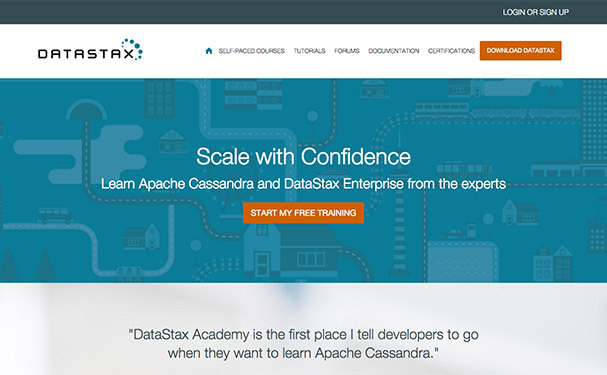 The DataStax Academy web-site is an eLearning site built in Drupal 7, to train, and certify developers, and web administrators on the ins, and outs of Apache Cassandra, and DataStax Enterprise. I worked with our Senior Web Designer, and the DataStax marketing department to create layouts and templates of new, and existing site features, while abiding by DataStax digital brand guidelines, and maintaining the integrity of the DataStax brand maintained within our new design. Working in an Agile environment our Senior Developer and I developed new site features and deployment standards for using Git to deploy new, and revised site content. Prior to that, I worked as a UX Designer for Nexient, in Ann Arbor, Michigan. Nexient is provides development solutions to companies such as Best Buy, and Johnson and Johnson. While there I worked on two main projects the Best Buy Geek Squad Android and iOS app, and 11Main, an eCommerce app created by Alibaba in Node.js. While working on the Best Buy Geek Squad App, I worked with the Lead UX Designer to create layouts and user workflows using Omnigraffle and Photoshop. I also designed icons for the Best Buy Geek Squad App, and worked with an Android Developer on the team to make sure the icons rendered correctly on multiple Android devices. While working on the 11Main project at Nexient I was responsible for working in an Agile environment with a team of approximately one dozen Node.js Developers to design and build Administrative Interfaces for 11Main employees. Before that I worked as an Applications Developer at AK Rewards LLC. A start up company in Bloomfield Hills, Michigan, AK Rewards hired me to develop a Family Organizational Management application using PHP CodeIgniter. The application used positive reinforcement to reward children for completing tasks and chores assigned by to them by family members. I worked with our CTO to create and modify CodeIgniter modules to create a user registration and login system, and also developed an administrative suite of tools to manage user settings. While development was my primary responsibility, I was was also responsible for Designing Interfaces, layouts and presentations, as well as mocking up potential new features using Apple Keynote. We worked in an Agile environment and I met with investors and other developers weekly to present and explain new site features. Previously I worked for Detroit Media Partnership in Detroit, Michigan. Since I started there in 2011, I have maintained and deployed web-sites and mobile applications for some of the largest web-sites in Michigan. I have experience developing in Drupal 7, Wordpress, as well as the Smarty Templating engine, and Python. I graduated from Purdue University in 2009 with a Bachelor's of Science in Computer Graphics Technology. My focus in the Computer Graphics Technology department was in Interactive Multimedia. I learned not only how to design interactive products, but also how to refine them and use technology to study my users, as well as my designs to create a usable and visually pleasing product. I have minors in Computer & Information Technoloy, and in Psychology. I also completed Purdue's Certificate of Entrepreneurship program. I love to draw. Doodling and cartooning in the sides of school my notebooks growing up eventually led me into digital media and illustration courses. I began using the skills I was learning to create storyboards and work with fellow students to animate my own cartoons in Macromedia, (at the time), Flash. As I tried to distribute my cartoons to a larger audience, I began teaching myself HTML and CSS and by my freshman year of college I had started my own Freelance Web Design company. My first project: designing and developing a web-site for my high school cartoon series 'rollerskatinghippo'. © 2016 Design Superhighway LLC.